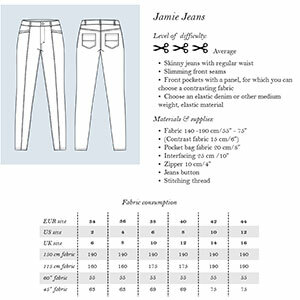 The Jamie Jeans are a modern skinny jean with a regular waist and slimming front seams. 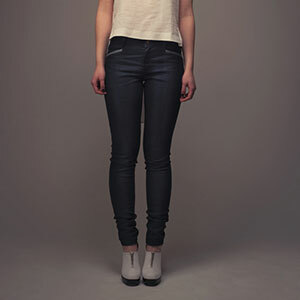 They feature an attractive and unique front pocket panel that can be made from turned denim or any other contrasting material. Suggested fabrics are medium weight fabrics with stretch such as stretch denim, cotton jersey, cotton lycra or ponte de roma.